Chemistry: Hexagonal Graph Paper Notebook, 1 cm hexagons 160 pages: Notebook with yellow grunge cover. 1 cm hexagons, ideal for chemistry notes and … design, mapping, sketches, math, notes, etc. 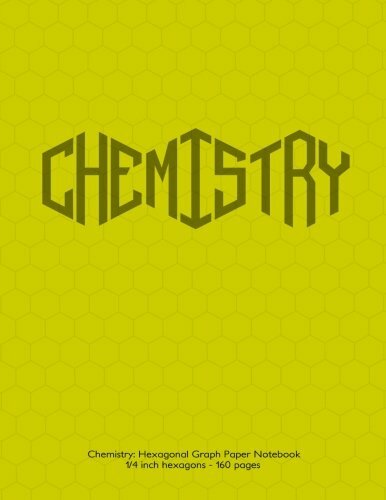 Chemistry: Hexagonal Graph Paper Notebook, 1 cm hexagons 160 pages: Notebook with yellow cover. 1 cm hexagons, ideal for chemistry notes and practice. … design, mapping, sketches, math, notes, etc. 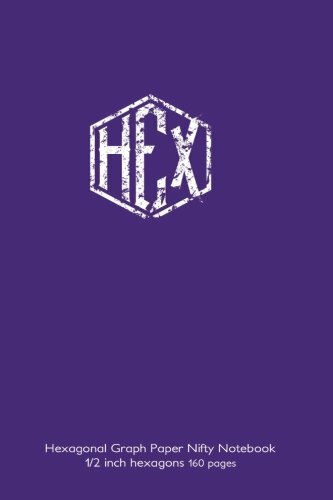 Chemistry: Hexagonal Graph Paper Notebook, 1 cm hexagons 160 pages: Notebook with purple grunge cover. 1 cm hexagons, ideal for chemistry notes and … design, mapping, sketches, math, notes, etc. 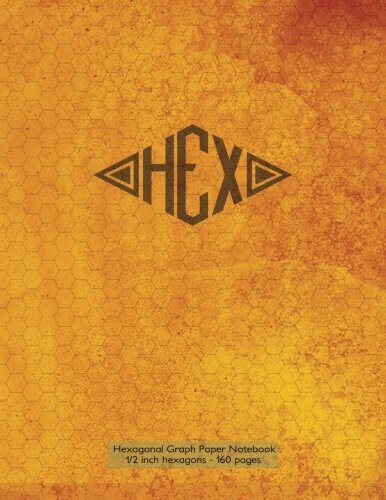 Chemistry: Hexagonal Graph Paper Notebook, 1 cm hexagons 160 pages: Notebook with orange grunge cover. 1 cm hexagons, ideal for chemistry notes and … design, mapping, sketches, math, notes, etc. 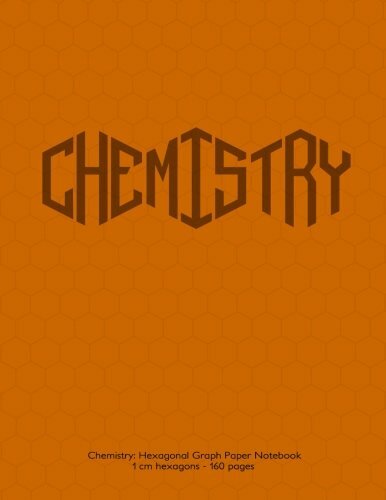 Chemistry: Hexagonal Graph Paper Notebook, 1 cm hexagons 160 pages: Notebook with orange cover. 1 cm hexagons, ideal for chemistry notes and practice. … design, mapping, sketches, math, notes, etc. Chemistry: Hexagonal Graph Paper Notebook, 1 cm hexagons 160 pages: Notebook with magenta cover. 1 cm hexagons, ideal for chemistry notes and … design, mapping, sketches, math, notes, etc. Chemistry: Hexagonal Graph Paper Notebook, 1 cm hexagons 160 pages: Notebook with green cover. 1 cm hexagons, ideal for chemistry notes and practice. … design, mapping, sketches, math, notes, etc. 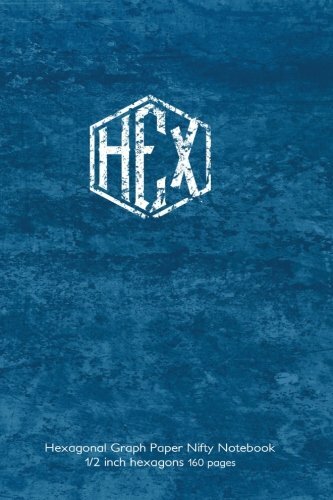 Chemistry: Hexagonal Graph Paper Notebook, 1 cm hexagons 160 pages: Notebook with blue grunge cover. 1 cm hexagons, ideal for chemistry notes and … design, mapping, sketches, math, notes, etc. Chemistry: Hexagonal Graph Paper Notebook, 1 cm hexagons 160 pages: Notebook with blue cover. 1 cm hexagons, ideal for chemistry notes and practice. … design, mapping, sketches, math, notes, etc. Chemistry: Hexagonal Graph Paper Notebook, 1/4 inch hexagons 160 pages: Notebook with yellow grunge cover. 1/4 inch hexagons, ideal for chemistry … design, mapping, sketches, math, notes, etc. Chemistry: Hexagonal Graph Paper Notebook, 1/4 inch hexagons 160 pages: Notebook with yellow cover. 1/4 inch hexagons, ideal for chemistry notes and … design, mapping, sketches, math, notes, etc. Chemistry: Hexagonal Graph Paper Notebook, 1/4 inch hexagons 160 pages: Notebook with red grunge cover. 1/4 inch hexagons, ideal for chemistry notes … design, mapping, sketches, math, notes, etc. Chemistry: Hexagonal Graph Paper Notebook, 1/4 inch hexagons 160 pages: Notebook with red cover. 1/4 inch hexagons, ideal for chemistry notes and … design, mapping, sketches, math, notes, etc. Chemistry: Hexagonal Graph Paper Notebook, 1/4 inch hexagons 160 pages: Notebook with purple grunge cover. 1/4 inch hexagons, ideal for chemistry … design, mapping, sketches, math, notes, etc. Chemistry: Hexagonal Graph Paper Notebook, 1/4 inch hexagons 160 pages: Notebook with purple cover. 1/4 inch hexagons, ideal for chemistry notes and … design, mapping, sketches, math, notes, etc. Chemistry: Hexagonal Graph Paper Notebook, 1/4 inch hexagons 160 pages: Notebook with pink cover. 1/4 inch hexagons, ideal for chemistry notes and … design, mapping, sketches, math, notes, etc. Chemistry: Hexagonal Graph Paper Notebook, 1/4 inch hexagons 160 pages: Notebook with orange grunge cover. 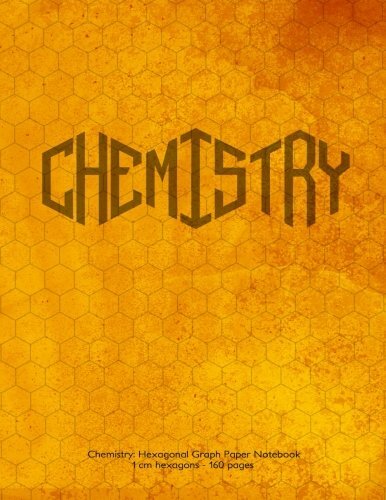 1/4 inch hexagons, ideal for chemistry … design, mapping, sketches, math, notes, etc.